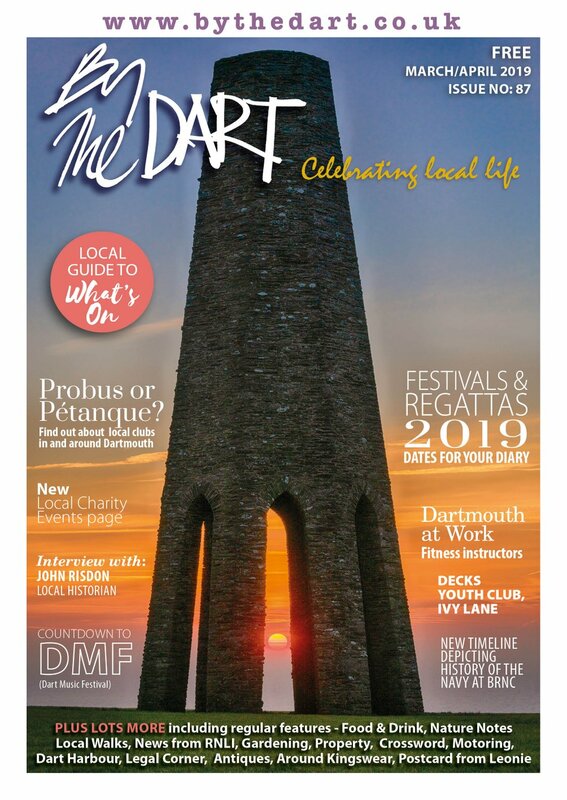 If you're familiar with By The Dart magazine, our directories and maps, you'll know we provide residents and visitors with entertaining informative and valuable information about what goes on and who does what locally in/around Dartmouth as well as wide ranging content about local history and geography and plenty of interviews with local people. 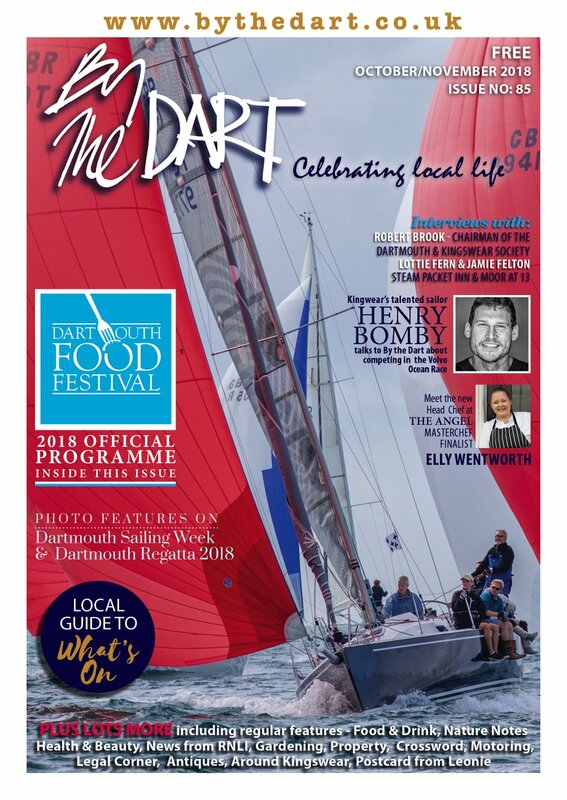 Much of this content is still current, useful and relevant to local people and the many visitors to Dartmouth each year. Rather than have this information disappear a into landfill site we've pulled it together and uploaded it to this website. On top of this, we've added a whole lot more information such as all future local events taking place in/around Dartmouth, South Devon and as far as Plymouth and Exeter. This is a more comprehensive What's On resource than anything else locally. We've uploaded many details of local companies such as accommodation providers, local shops, restaurants etc to help you find the right information about the right people. We want this site to be the most comprehensive, interesting and informative website about Dartmouth - everything and anything about Dartmouth. We will also be adding extra content such as important local news, reviews of local shops, restaurants, venues, events etc to the website each week. What you see on this site currently (early October 2013) is our 'beta' version - i.e we haven't quite finished it! You'll therefore find a few holding pages around the site which will sit there for a few more weeks whilst we finish tweaking the site. Please be patient and check back to see our progress. We'd be very grateful for any feedback on how we've organised the site or extra content that you'd like us to add. 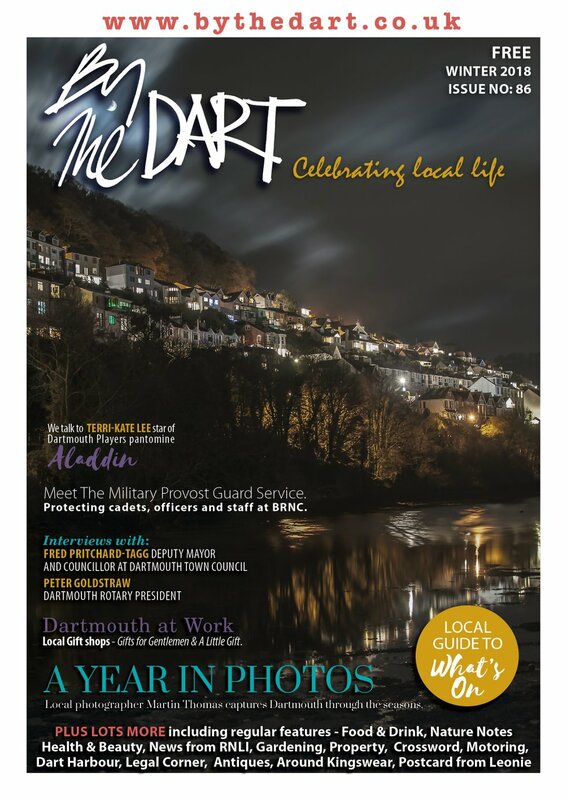 Just email ideas/suggestions to mark@bythedart.co.uk. Please note that you can share the articles and content on this site via the usual social media channels as well as leave comments on what you read - there's lots of buttons on the site to help you do this. Don't forget to sign up to our weekly email newsletter (first one will be distributed by the end of October) to be the first to know about important local news, upcoming events and special offers from local businesses. Just follow the link on the home page. Finally, if you own a local business, we'll be shortly contacting you to show you how to best promote your business on the site - e.g. with enhanced business information, business reviews, news items about your business and display and sponsorship banners around the site. As we upload details to our database of over 2,000 businesses who are known to operate locally, please check we've got your details correct and tell us quickly by email (mark@bythedart.co.uk) if not.